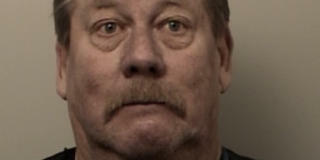 On Friday December 18, 60-year-old William Dekker, Garden Valley Fire chief, was arrested on suspicion of driving under the influence, according to El Dorado County sheriff’s deputies. The incident began when a neighbor of Dekker’s called the sheriff’s office reporting a dispute in Greenwood, where Dekker lived. The man told deputies that he and Dekker had gotten into an argument over a loose dog, and that Dekker threatened to shoot the man. When deputies arrived in Greenwood, they saw Dekker driving by and flagged him down. Upon speaking with Dekker about the incident, deputies suspected he may have been drinking. They then conducted a series of field sobriety tests, and determined that the fire chief was under the influence of alcohol. He was arrested and booked into the county jail, and later released on $5,000 bail. At the time of his arrest, Dekker was driving his own personal vehicle. Dekker had previously worked as fire chief in a small Arizona town, however he resigned in 2007 after being charged with disorderly conduct. He was hired by the Garden Valley Fire Department in 2007, and had a 10-year contract. He could not be reached for comment at the time of news reports. Later news reports stated that Dekker resigned his position, giving a 60-day notice; he has been relieved of his duties, and will be paid for two months. Most people who have never been arrested for driving under the influence don’t realize the serious consequences of a conviction. Not only may those found guilty face substantial fines, possible jail time, and other punishment, their reputation and careers are often ruined, as in the case above. In Michigan, those convicted of a first DUI may face jail time, fines, driver’s license suspension, community service, and other consequences. Because driving under the influence is a criminal offense, those found guilty will also have a criminal record. If you have been arrested or charged with driving under the influence, never automatically plead guilty. Work with a capable and skilled DUI attorney in Michigan who will fight for your rights, and protect your legal rights and freedom. It is often possible to have charges reduced, or even completely dismissed.